This letter, written from Osawatomie by Spencer Brown, was addressed to his older sister Kitty (Cordelia Gould) Brown. 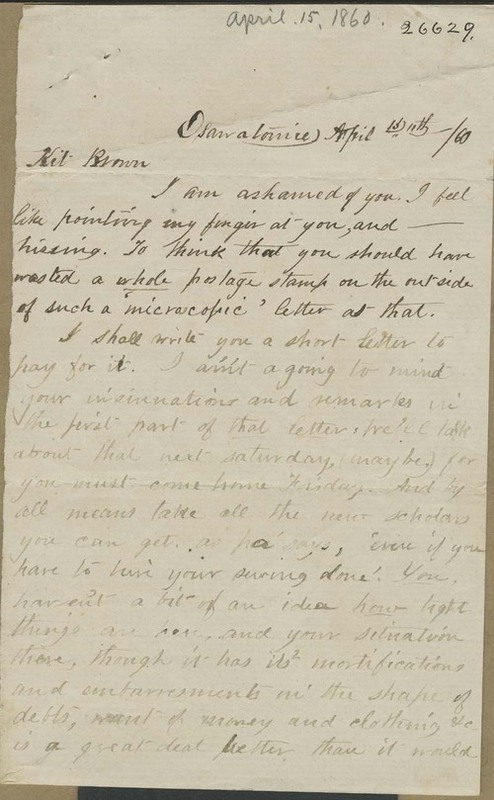 He playfully berated her for sending a "microscopic" letter, and he offered her his personal opinion about her current suitor, describing this young man as a "milk-and-water infant." In general, the letter gave an intimate glimpse into this sister/brother relationship and demonstrated that even during hard times, life continued.